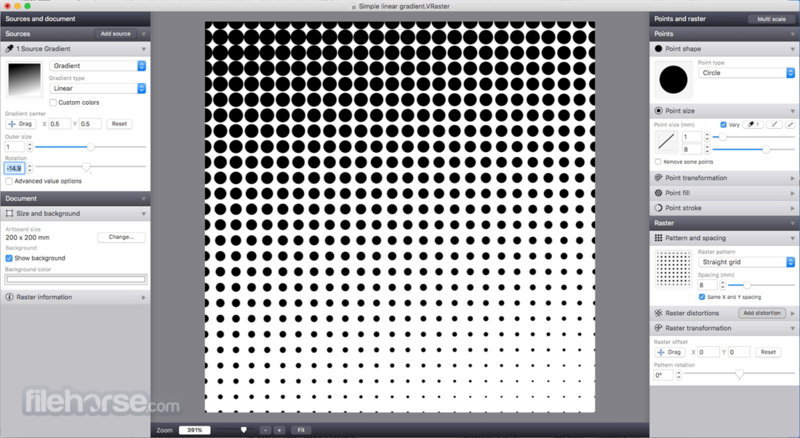 Vectoraster for Mac is a graphics program for macOS for creating vector-based raster patterns and halftones based on images or gradients. 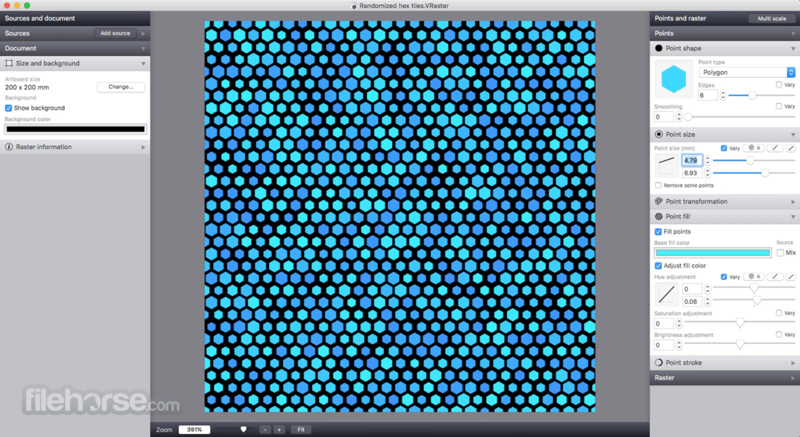 Download and create now vector-based raster patterns in your Mac! The raster patterns and point shapes can be changed and varied across the pattern to produce many different styles. 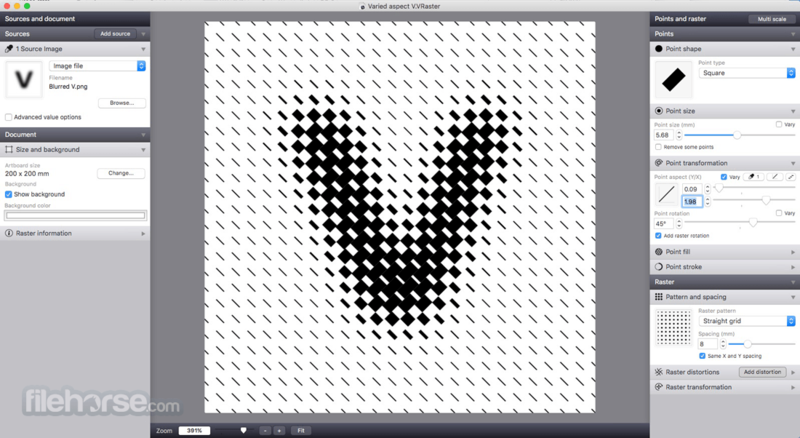 The resulting raster is always shown, updating in real time as you change parameters. The result can then easily be exported as vectors to EPS or PDF files, as images to JPEG, PNG or TIFF, or simply copied and pasted into most graphics software. Vectoraster is Amazing tool! Flexible raster distortions. 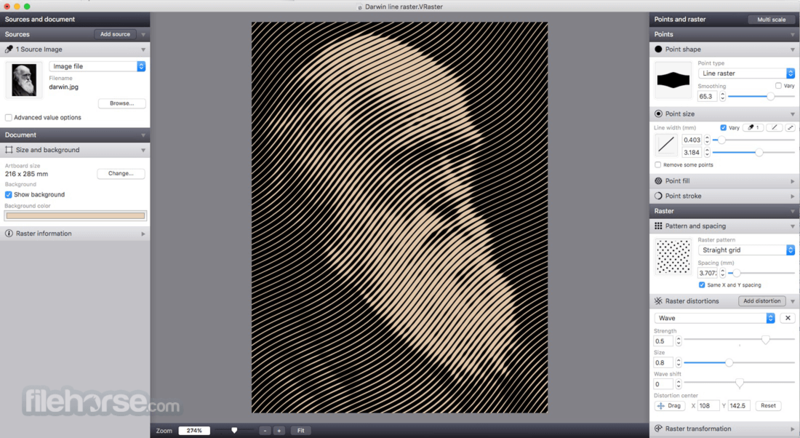 You can now combine multiple distortions to your raster pattern (like waves, twists or randomizations), each with improved individual control over position and scale. 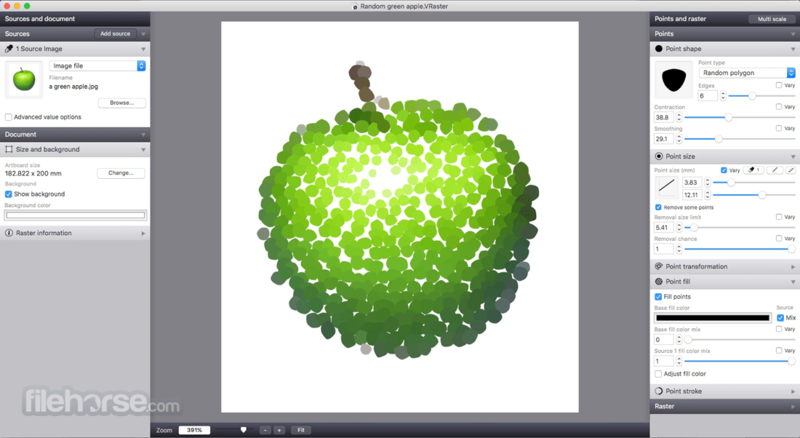 Note: In demo version, raster points will be missing at random in all exported rasters.